Cheshire Fitness Zone now has Zumba for Kids Classes! 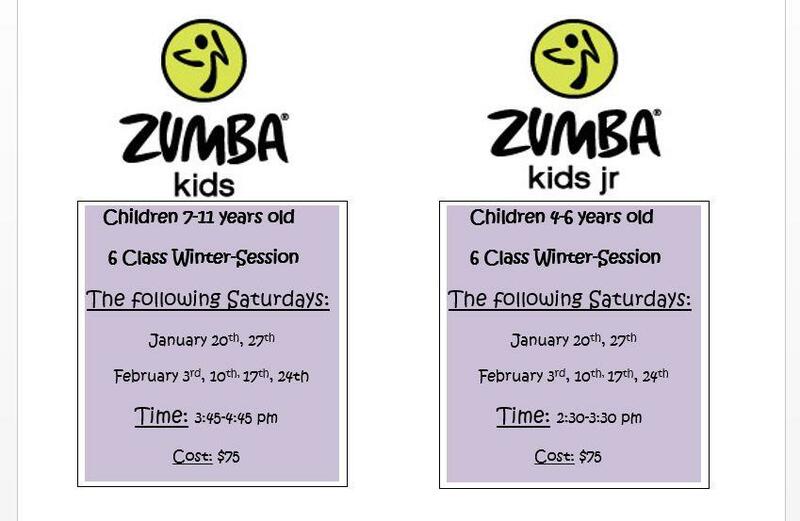 Offered in two options: Zumba Kids and Zumba Kids Jr., these classes are designed exclusively for kids (ages 7-11 and ages 4-6, respectively) and are rocking, high-energy dance parties. But there’s so much more too. Kids Zumba is not the typical Zumba class you see at your local gym where you get 45 minutes to an hour of straight cardio and fitness activity. Zumba Kids and Zumba kids Jr. is different! Although the basic Zumba formula is important, kids learn differently than adults. The class will be very interactive and there will be quick changes in activity so kids will never get bored. Follow along songs, music games, as well as routines that are broken down will all be part of the classes. Participants will be encouraged to cheer each other on, sing, and just have fun! It’s a great way to get your kids moving during these cold winter days! Come see what Zumba Kids and Zumba Kids Jr. is all about! Jessica Bella has been working with children at Cheshire Fitness Zone for a little over 9 years with almost 7 of those years as a full-time physical therapist assistant. Her experience includes work at schools, clinics, and in aquatic therapy settings. Jessica has been a licensed Zumba Fitness instructor since 2010 and has been teaching Zumba classes for over five years. Recently, she received her license in Zumba® Kids and Zumba ® Kids Jr. and will be combining her talents to offer your kids a fun, rewarding experience. Registration is open to everyone! Share this opportunity with friends and family! We’d love to see you there. Classes start soon! ← Cheshire Fitness Zone Now Offering Zumba Classes for Kids!